My iPhone/iPad Football Manager type game 72 – Mine, all mine! I was reflecting on this as I close in on completion, every line, every piece of code, every design element of this game was created by myself alone. 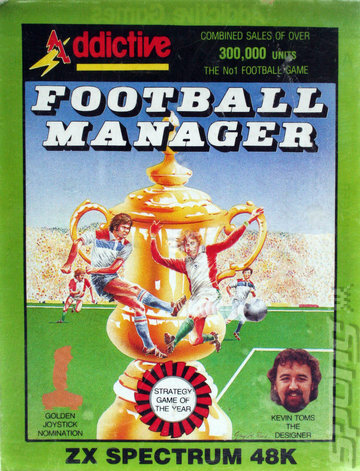 This is like the original Spectrum Football Manager that was so successful for so long. Now, at this stage, there are some things I could call on others for, things that may add some polish or final touches that are better than the things I can do myself. But, I am also thinking that I won’t do that, that I will continue to do it all myself right to release. This puts me in the position of a singer songwriter who plays all of the instruments on his album. He may not be the best drummer but he plays the drums. There is something good about this and I think it is what I will do. It’s been a lot to create this game, it doesn’t have to be perfect, I just have to be happy myself with what I put out. Is it a Kempston joystick? Hopefully all being well I’ll be submitting to Apple tomorrow!